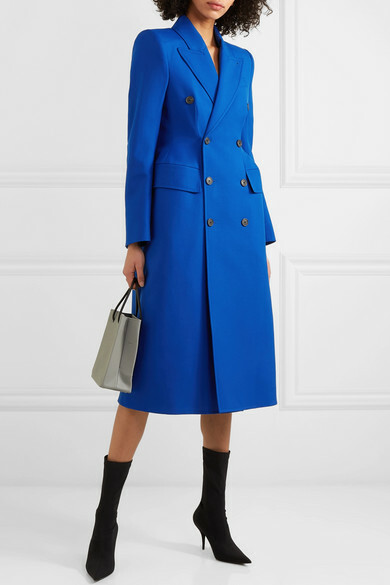 For Spring '19, Balenciaga continues to pay homage to founder's iconic hourglass silhouette. 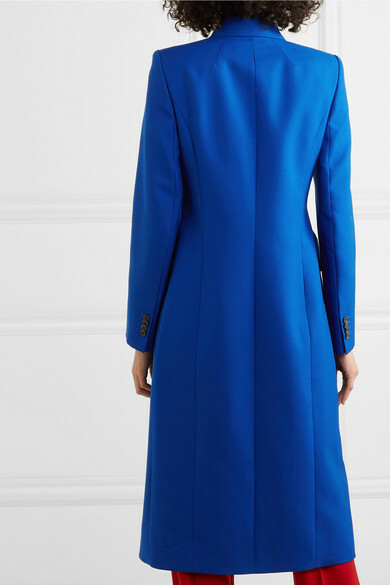 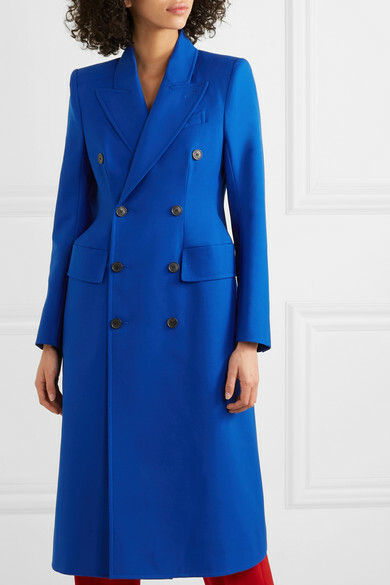 This double-breasted coat has been tailored in Italy from wool-blend in royal-blue - one of this season's key colors to layer over neutrals. 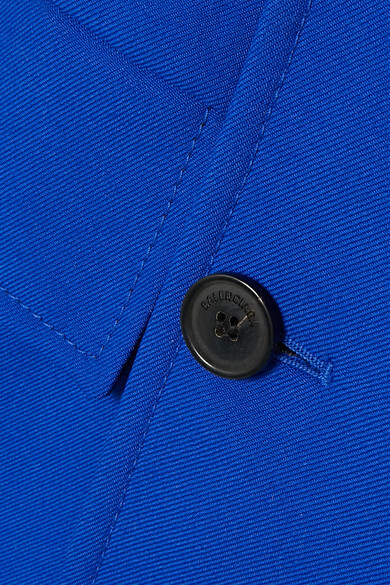 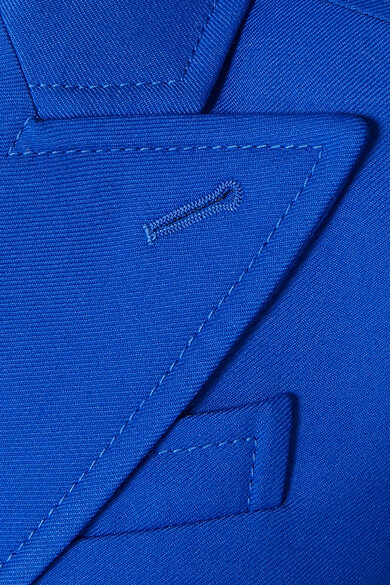 The lining features the brand's logo, subtly embodying the notorious Demna Gvasalia doctrine. 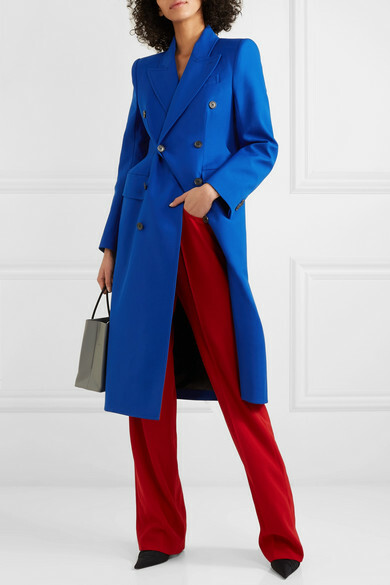 Outfit 1: Balenciaga Pants, Balenciaga Tote, Balenciaga Mules.